Bill 66 was introduced in the Ontario legislature just before the Christmas holidays. The short timeframe for discussion and consultation makes me think the legislators are trying to pass it before people have a chance to understand its effects. It is an omnibus bill, affecting dozens of different pieces of Ontario laws and regulations, many items of which are hidden behind indirect references, and all of which are to be voted on en masse. Omnibus bills tend to carry deleterious clauses which would never stand on their own, but which get passed only because of some other items in the same bill that are perceived to be more beneficial than the rest of the bill is bad. Many groups joined together to provide information on Bill 66, and to make a concerted effort to bring our dissatisfaction to local municipal and provincial leaders. 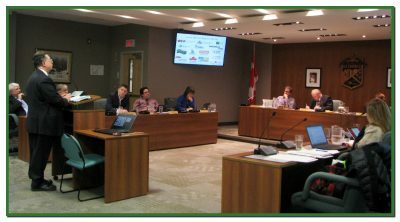 I made two delegations to Woolwich Township Council urging them to pass a resolution to reject Bill 66 and to pledge that if passed, not to use this legislation to bypass the environmental regulations currently in place. Woolwich did pass a resolution, but stopped short of adding the pledge not to use it. The consultation period at the Ontario Environmental Registry ended yesterday, and below are the comments I made. 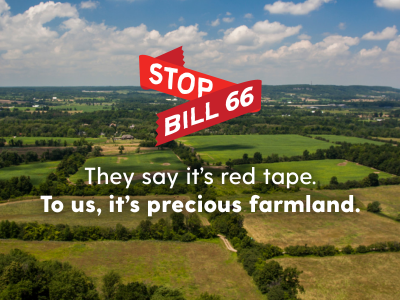 Bill 66 is a direct affront to the citizens of Ontario. Doug Ford made a pledge in May 2018 that the Green Belt areas would be not be subject to development. Now that Doug Ford is Premier of the Government of Ontario, I expect that pledge to be honoured. Bill 66 affects existing laws and regulations at many Ministries, not just the Ministry of the Environment, Conservation and Parks. It detrimentally affects the protections for workers in many separate regulations, detrimentally affects the protections for children in childcare, detrimentally affects seniors and patients in long-term care, and detrimentally affects consumers protections from wireless carriers. This is not an exhaustive list. Bill 66 detrimentally affects environmental regulations more than any other. Under Schedule 10 municipalities no longer have to follow the regulations under the Clean Water Act, Great Lakes Protection Act, Greenbelt Act, Lake Simcoe Protection Act, and the Oak Ridges Moraine Conservation Act, among many others. Ontario and its municipalities have experienced the greatest prosperity in the last ten years, without needing to circumvent the environmental protections put in place by previous Conservative and Liberal governments. Removing these protections now will pit one municipality against another — if one municipality allows development in a protected area, it creates pollution for all the downwind and downstream neighbours, both in that municipality as well as surrouding municipalities. There will be increased infrastructure costs for those municipalities that receive the extra traffic from the development, but none of the anticipated revenue. Bill 66 is not something municipalities have asked for for, nor is it something municipalities need. Speculators may have purchased land in the currently protected areas. Just having Bill 66 on the table has affected land values. Currently permitted uses for protected areas will become unaffordable, and the pressure on local governments to bypass environmental protections will be great. I’m happy to see many municipalities have passed resolutions rejecting Bill 66. The citizens of Ontario are clear: Bill 66, with all its recissions of existing laws, must not be passed. I hope the elected representatives in the Legislature will fulfill their mandate and represent their constituents’ demands to reject Bill 66.